Susan is Managing Director and Principal Consultant at The Regional Development Company, a business she founded in 1997 and which has undertaken more than 1,000 projects across regional Australia since that time. Her strength is an ability to work with clients to design fit-for-purpose approaches that result in the creation of positive futures for rural communities. In doing so, she draws on her high-level strategic planning and project management skills, community consultation and engagement expertise and utilises extensive government and non-government networks along with her well-regarded network of rural organisations. Susan is very well regarded for her ability to facilitate workshops and engage with regional businesses, organisations and communities. She has an extensive background in rural and regional development, professional qualifications in business and experience in business development, regional community services and economic strategic planning and delivery. Susan is passionate about regional development and is involved in all aspects of planning, developing, and facilitating positive futures for regional organisations and communities. Her extensive client base includes organisations across Victoria, New South Wales, South Australia and Tasmania. Susan’s great strength is the way in which she uses her highly developed communication and facilitation skills to enable other people’s visions to become reality. Often dealing with highly controversial and potentially inflammatory issues, Susan designs forums that allow people to engage and react in a constructive manner. With a broad background in rural and regional development, Susan has created a solid foundation for bringing government and non-government agencies and regional communities and business together, to work productively towards common goals. Prior to starting her own consultancy, Susan worked as a CEO of a regional city’s development corporation and as a Business Manager for NSW State and Regional Development. 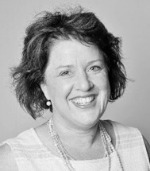 She is an experienced Director and Fellow of the Australian Institute of Company Directors. Board experience includes the Telstra Foundation, North East Regional Water Authority, North East Catchment Management Authority, Rural Industries Research and Development Corporation and National Rural Women’s Advisory Group. Susan also chaired the establishment of the Charles Sturt University Dubbo Campus. Susan is recognised by the International Association of Facilitators (IAF) as a Certified Professional Facilitator (CPF) and is a fellow of the Australian Institute of Learning Professionals. She is a member of the AICD (Australian Institute of Company Directors), a member of the International Association of Public Participation and uses IAP2 materials in her community consultation work. Suz has 15 years’ experience in group-work and training along with expertise in community engagement, facilitation and strategic planning. She specialises in design and delivery of tailored team development workshops with topics including workplace culture, leadership, working with conflict, and facilitation skills. Her facilitation, group-work and training skills come from a love of working with people, and empowering people through good process. She has a strong commitment to community wellbeing and is herself an active community member playing leadership roles in a number of North East Victorian organisations including a current role as Chair of the Mittagundi Outdoor Education Centre Board. Suz has formal qualifications in Outdoor Education, Adolescent Health and Welfare and a diploma in Facilitatory Management. Suz has worked with small teams in outdoor environments where challenging behaviours created stimulus for change and growth. Her work in the outdoors and community sectors has encompassed adolescent groups, young people with disabilities, adult groups and community groups. and water planning and management. Kate commenced her career at the Australian Conservation Foundation (ACF) developing grant applications, proposals and bids. After the ACF, Kate worked at the Department of Natural Resources and Environment (now DEPI) as a senior policy analyst in land use planning. Kate has undertaken consultancy work for several companies over the past 12 years. While a consultant, Kate has worked as a group manager and project manager, and has played a lead role in business development and the acquisition of projects. Her clients include Catchment Management Authorities (CMAs) in Victoria and New South Wales, various local governments, the Department of Environment and Primary Industries (DEPI), the Environment Protection Authority (EPA) and rural water authorities. In recent years Kate has focused on land and water planning. She has developed Land and On-Water Plans for a significant number of irrigation storages and water bodies in Victoria. Her key skills and capabilities include land and water planning and management, development of environmental strategic plans, management of large multidisciplinary projects spanning land, water and biodiversity issues, and project and program evaluation. Kate is adept at leading complex projects with teams involving a diverse number of stakeholders and specialists who often have conflicting preferences and ideas. Kate is also recognised for her written communication skills and ability to tailor technical information and findings in a way that is clear, interesting and concise. Rob is a specialist group facilitator expert in collaborative decision making, community engagement, and outrage management. His extensive professional and volunteer experience working with community, government and industry on environmental impact, sustainability and strategic community change issues provides his credibility to work with individuals and communities on issues of social and economic change. Prior to joining our team, Rob managed regional and state-wide issues as a Community Engagement Facilitator with EPA Victoria where he engaged with stakeholders on a wide range of sometimes contentious issues concerning the interaction of industry, government and community. He has also worked in the community education sector. He has governance experience as an active community member and holds a number of community and government board roles.omic change. Rob is recognised by the International Association of Facilitators as a Certified Professional Facilitator and a member of the International Association of Public Participation. 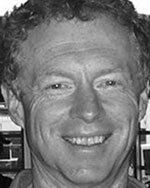 He holds a Bachelor of Science (Microbiology), is a qualified facilitator having completed an Advanced Diploma of Group Facilitation, and is a graduate of the Alpine Valleys Community Leadership Program. 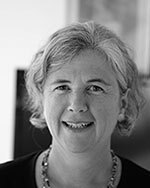 Cath has extensive experience in facilitating groups, developing strategic plans, managing and evaluating projects and community consultation and engagement. She holds a Bachelor and Masters of Science in Agriculture from the University of Sydney, a Graduate Certificate in Soil Conservation from the University of Adelaide, and a Graduate Certificate in Mediation and Conflict Resolution from the University of Queensland. Cath works extensively as a soil scientist, educator and facilitator with rural and regional communities. She worked for almost ten years as a lecturer in agriculture and natural resource management for Melbourne University, and also has considerable experience working in the public service sector including extension program design and delivery, training design and delivery, and project management. As a consultant Cath has designed and delivered stakeholder consultation and engagement processes, facilitated workshops and delivered training programs. Clients have included local and state government agencies, not for profit and community groups, national associations, and industry groups across Australia. Clients value her flexible and collaborative approach and her engaging style that generates forward thinking and planning. 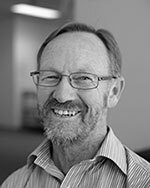 Gordon has operated Shaw & Associates Consulting since 1995 to specialise in strategic and business planning, market research, marketing and economic development for rural and regional businesses and governments. Gordon offers a particular expertise in developing strategic, business and marketing plans with regional organisations and businesses in the food and wine sector, primary commodity marketing groups and the equine industry. Gordon has prepared numerous strategic, business and marketing plans, investment opportunity studies, and feasibility studies and implemented a range of economic development projects in regional areas. Gordon has conducted a number of studies in the equine industry, agriculture and food and wine sectors which have some relevance to the Strathbogie Shire’s Priority Areas. These studies have been in regions including the Upper Hunter Valley / Scone region, Albury-Wodonga, and Melbourne’s outer west periurban area. Gordon has wide experience in rural and regional areas, having grown up on a farm, managed a 1,500 ha grazing operation, and worked for over fifteen years as a professional business, marketing and economic development consultant in regional areas. He has also worked in corporate businesses in manufacturing, and in economic development roles with local government. Lisbeth has 18 years’ experience working for a number of ASX top 100 mining, manufacturing and petroleum companies in Australia with long term postings as diverse as Broken Hill, Roxby Downs and the Gulf of Carpentaria with roles encompassing the full portfolios of Human Resources and Community Development and Engagement. Most recently, Lisbeth held senior executive, strategic positions as General Manager Human Resources for Adelaide Brighton Cement and subsequently Caltex Australia Limited, reporting directly to the Managing Director. Lisbeth has a Bachelor of Economics degree and as a result of her employment and life history has significant change management, leadership development, employee relations, remuneration, recruitment, occupational health and safety, education and training, communications, corporate governance and management, risk management, strategic planning and most significantly, community and economic development and capacity building skills and experience. Lisbeth is passionate about the North East region of Victoria, its future, its communities and its leaders. 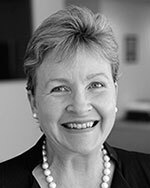 Since 2009 she has been a ministerial appointed Board member of Goulburn Ovens Institute of TAFE and currently holds the position of Deputy Chair and sits on the Audit (former chair), Remuneration and Executive Committees. 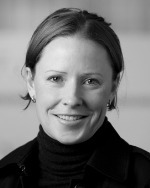 She is also a current Board member of Alpine Valleys Community Leadership Program, is a Member of the Australian Institute of Company Directors and a member of the NE Water Customer & Community Panel. She also currently volunteers as a mentor of young leaders through the Victorian Police Senior Leaders’ Mentoring Program. 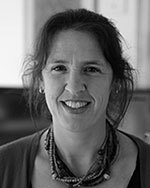 In her consulting role, Lisbeth is well regarded for her work in leadership development, capacity building and rural and regional sustainability through economic, community and social development, particularly with respect to education. The Consultancy team is supported internally by our experienced and highly competent administrative team. Our administrative team supports the consultants to ensure the best possible service to our clients. Office Manager Trecia Donald is our first point of client contact providing essential centralised executive support, administration and scheduling for Consultants and clients on a day to day basis. Trecia is supported by Administrative Assistant Karen Anderson.